Since 2012, Henry Goh has on an annual basis been the sole IP agency to be awarded the “Gold Band status” and “Recommended Firm” in Malaysia in the World Trademark Review (WTR) 1000 guide to the world’s leading trademark professionals. Our Senior Legal Counsel, Azlina Aisyah Khalid has been listed annually in this guide as one of Malaysia’s Recommended Individuals. “I am truly honoured by this recognition from the global trade mark community. It would have not been possible without the great teamwork within my department”, said Azlina. WTR 1000 is a comprehensive guide to the trade mark legal services market. The leading firms are identified based on depth of expertise, market presence and the level of work on which they are typically instructed. 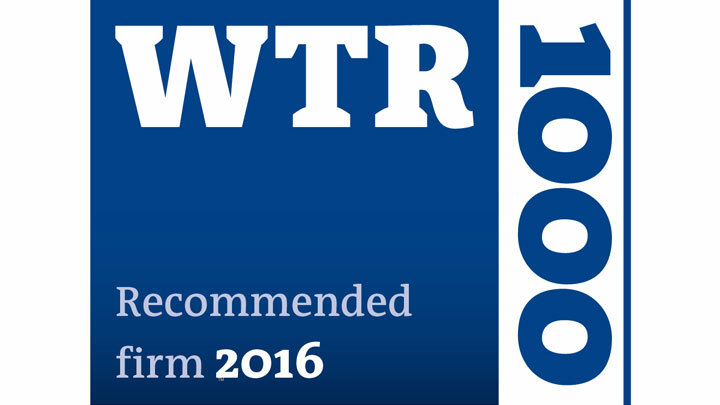 All of the individuals identified in this publication are recommended because they received substantial positive feedback during WTR’s qualification research process. We would like to record our sincere appreciation to all our IP peers, associates and clients for their belief and trust in us; without which none of these achievements would be possible. We commit to maintaining these high standards in the execution of our professional services.